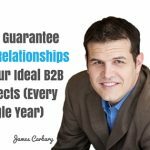 Breaking down the barriers between you and your clients is a tough challenge you need to overcome because that’s how you get some deals to be closed. 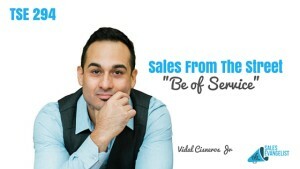 Today’s guest on Sales from the Street is Vidal Cisneros, speaker, author, and purpose-igniting coach. He is the man behind the Thriving Beyond Podcast. Vidal is also part of the Chicken Soup for the Soul and doing things for large publications. 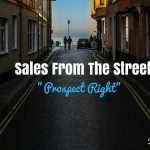 Listen as he talks about his challenges and strategies he used to overcome those challenges and see results. If you can’t help them because their needs are not within your wheelhouse, you still connect them with other people. What can you do and where can you take them to get to the next level that’s within your framework. Letting them see you’re a real person too. Share what you also went through. Share your story and connect with your client. Find where your stories bridge to build rapport and connection. Just work on letting people up. Inspire them and that’s where you understand what works best for you. Tell them what the dream looks like and how far you’ve come to compel them to decide and ignite their path. Connect with Vidal on www.vidalcisnerosjr.com or Thriving Beyond Podcast.